Fishing with John. Fishing with John. Fishing with John. Out on the water. Fishing with John. I cannot explain why, but for the past few days, I have had the theme song from "Fishing with John" constantly playing in my mind. The song is 43 seconds long and can be accessed by clicking here. "Fishing with John" is among my favorite TV shows of all-time. 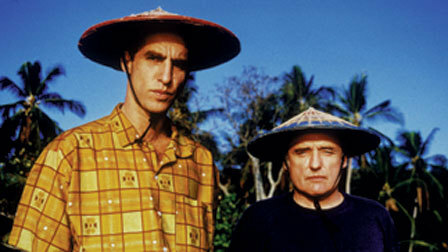 It originally aired in 1991 on the Independent Film Channel and was hosted by musician/actor John Lurie. The series only featured six episodes and a total of five guests - Jim Jarmusch, Tom Waits, Matt Dillon, Willem Dafoe and Dennis Hopper. Good God, those are five pretty impressive guests. They're all celebrities, - a bit offbeat, of course - and they all seem genuine and valid. The common thread I like about all of them might be: Ride your madness to success. Yeah, I watched all of the "Fishing with John" shows and would have gladly watched more. The best thing about the shows is that Lurie has no apparent agenda to actually interview the guests. Instead, his agenda is to catch fish, although he and his guests are pretty damn urban. So the show is ridiculous. "The Sopranos," "Seinfeld," "Top Chef" and "The Office," according to the Snooze Button Generation, are pretty legit shows. 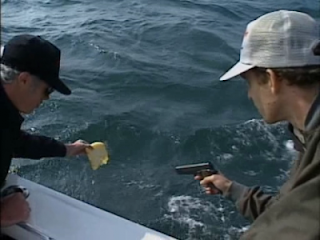 But when you think about it, "Fishing with John" likely is the best show of all-time that aired only six times. And, yes, the theme song to "Miami Vice" is pretty killer, but why is the theme song to "Fishing with John" still in my head?